The Australian Constructors Association together with Engineers Australia has announced seven project finalists to compete in the Australian Construction Achievement Awards, (ACAA). 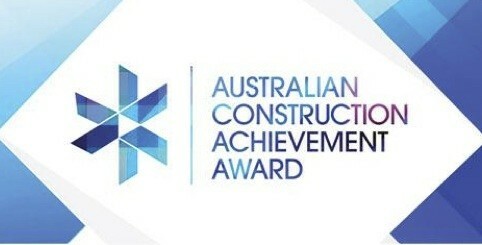 “The Australian Construction Achievement Awards recognises Australia’s elite construction projects. The projects are delivered by some of Australia’s top construction companies and their highly skilled teams comprising of engineering professionals,” said Lindsay Le Compte Executive Director Australian Constructors Association. The RMIT Swanston Academic Building, entered by Brookfield Multiplex is the university’s newest educational faculty in the centre of Melbourne and features leading-edge teaching and specialist learning spaces. The Northern Sewerage Project by Yarra Valley Water was one of the largest wastewater tunnelling projects in Australia. Overcoming challenging geology and complex site conditions in a dense urban environment, the $650 million project involved construction of 12.5 kilometres of sewer tunnels in Melbourne’s north. One One One Eagle Street, entered by Leighton Contractors is a 57 level office tower located in Brisbane’s Golden Triangle. The building embraces sustainability and has pushed the boundaries in design, aesthetics and construction. Brookfield Place by Brookfield Multiplex involved the refurbishment of five heritage buildings in Perth’s CBD, as well as the construction of the first major steel framed high-rise building; the first of its kind to be constructed in Western Australia in over 25 years. The New Royal Children’s Hospital project entered by Lendlease is one of Australia’s largest hospital redevelopments. The new hospital facility in Victoria offers 357 hospital beds and applies new innovative models of care for treating patients. The Southbank Cultural Precinct Redevelopment (SCPR) by Baulderstone includes a $128.5m redevelopment for the banks of the Yarra River. The project includes upgrading a diverse range of cultural facilities, improved accessibility by the public, as well as enhanced acoustics for auditorium performances. The Ipswich Motorway Upgrade project entered by Origin Alliance was considered a high risk project to upgrade 8 kilometres of the Ipswich Motorway. The widening of the motorway and introduction of new service roads has improved connectivity for this busy stretch of motorway. “Engineering professionals are in high demand across Australia’s construction industry due to their proven expertise in leading world-class construction projects around the world. The ACAA celebrates the accomplishments of the construction industry with the engineering profession,” said Mr Le Compte.